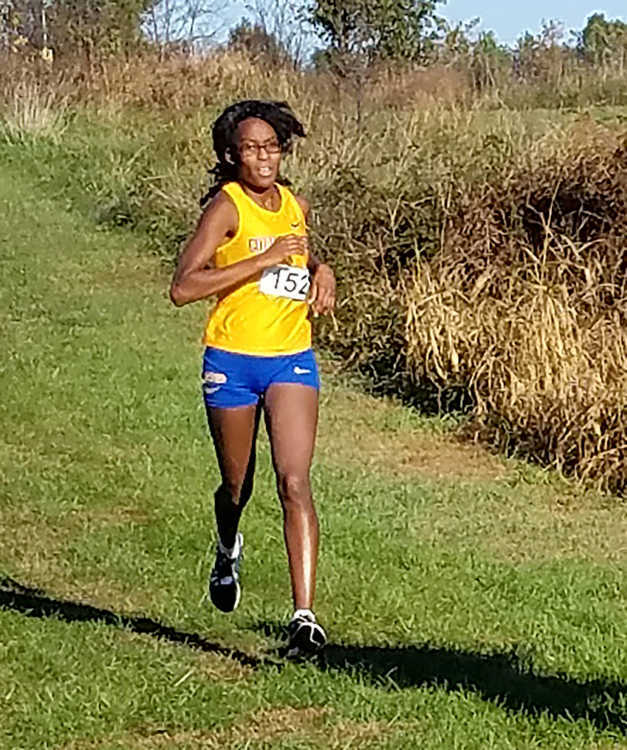 The Cottey Comet cross country team wrapped its season on Saturday, competing at the Ozark Christian College Last Chance Meet. Cottey concluded on a high-note, as junior distance runner Christi-Anne Beatty captured a first-place finish, clocking a 20:34 in the women’s 5K (3.1 mile run). “This was the first time in her running career to win a race,” said Cottey head coach Tony Skiles of Beatty (pictured). Although he didn’t specify the number of student-athletes competing at the event, Skiles said that Beatty led the race from wire-to-wire. “It was very exciting to see Christi-Anne take the lead for the first time in her career, and see her will-power to not give it up,” recounted Skiles. Cottey fielded just two runners, as Beatty’s teammate, California native Sophie Weiss crossed the finish line at 24:53.